Emergencies at work can happen at any time. 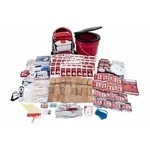 Be prepared with an emergency kit for the office. Survival rates can increase significantly when peers are ready with the appropriate emergency equipment and survival gear. 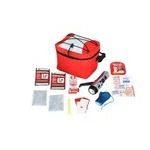 The Emergency Prep Gear office emergency kits contain high-quality gear and life sustaining food and water to help you deal with crisis and critical events. 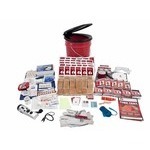 Many of the office emergency kits are appropriate for many types of onsite emergencies. 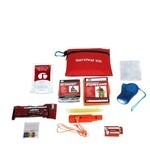 The survival kits for office consist of a variety of food water, shelter, fire starting, first aid, navigation, signaling and communication, etc. 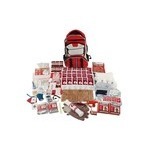 Consider acquiring the right size and number of emergency kits for your work space for each individual you are responsible for. 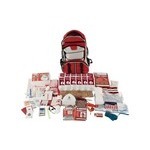 There are kits for individuals, groups, and more. Let us help you get outfitted for the next inevitable emergency.